_ A B C D E _ _ _ _ . Add F on the left. Add G on the right. Add H on the right. Write a program in any programming language to concatenate two doubly linked lists. 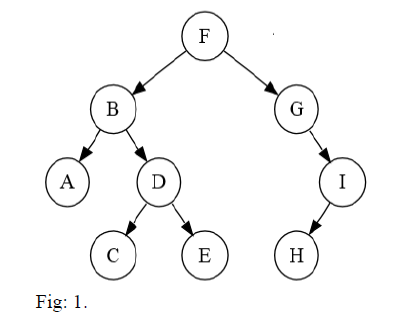 Give the preorder and Inorder traversal of the tree given in fig 1. Given the following traversals create a binary tree from that. Also give the postorder traversal for the same. What is a spanning tree? 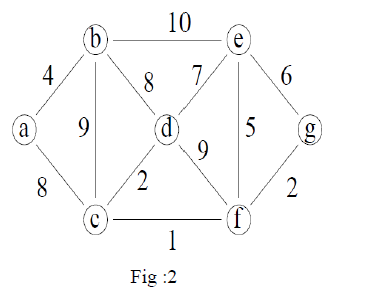 Find the minimum spanning tree for the graph shown in fig 2.